Interactive Dog Toy - Run, jump, play! The Turnup is almost round and it bounces all around... left, right, up, and down. "It could turn up anywhere!" 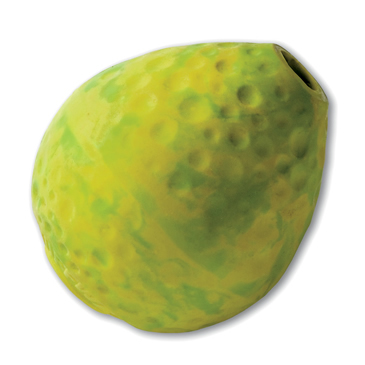 The TurnUp is one of Ruff Wear’s most durable rubber toys and it’s great for fetching, treat dispensing, and at-home play. Eco-sensitive rubber toy is sized to fit dogs’ mouths and is compatible with ball throwers. 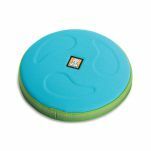 It is almost round so it bounces in all directions – ideal for athletic dogs of any size. This is our dog Pluto's absolute FAVOURITE toy ever! She is just mad for it. The way that it bounces wildly in different directions... the beautiful strong minty smell... the wooooo sound it makes as it whirls through the air.... it delights all of her senses and she just cannot get enough of it. Because it fits in a standard ball thrower we can wack it out really far and give her a real run for her money. Pluto loves to chew on it as well and has never gotten so much as a chunk off it. We really couldn't be happier with the performance of this toy. Read 13 customer reviews of Ruffwear TurnUp Ball. The average customer rating is 4.9. This ball I bought for my Staffy and she loves it she is an avid chewer and this ball is so far going the distance I know where I will be buying future toys from. Richo, staffy cross, really enjoys the Turn Up Ball. I was sceptical at first that he would destroy it very quickly which is the usual BUT it's still going strong. 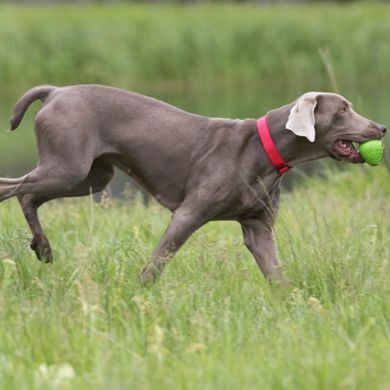 He loves the different bounces it does and is happy to fetch, not necessarily return, and have a good chew. It's been a few weeks now so I know it will last because he has had other reputable brands which have only lasted, quite literally, half an hour. Thanks Zoe for your suggestion. You were right. We use this in hallway so it only hits the walls but it goes all over the place which is fun & good exercise for Chester very funny to watch. he also has not chewed through it & we have not put treats in it. Bought this one on Zoe's recommendation, and it is a ripper! 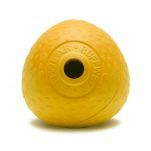 It is the right size and weight for the ball thrower, makes a whistling sound as it flies through the air, and when it lands, it bounces every which way. And, my avid ball chewer has nowhere near destroyed it yet! And it floats! The colour is just bright enough to find in long grass, but some brighter colours would be awesome too. Thanks Zoe. Great ball. Small enough to fit in a ball launcher and very bouncy. I love that you can also stuff it with treats and it's tough enough to withstand strong chewers. I purchased the Turnup Ball after asking Zoe's advice. I have a 7 month old Staffy who has shredded just about every ball/toy I have bought for him. He is a BIG chewer!! 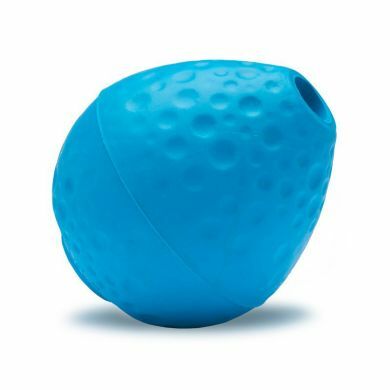 He loves playing with this ball, it bounces and turns all over the place which keeps him guessing and provides great stimulation as well. He loves to 'mouth' the ball and hasn't managed to destroy it so far. I would definitely recommend this ball for all the chewers out there. Thankyou for a wonderful toy for our Heeler. The Ruffwear TurnUp Ball entertains our pup for hours, we put doggy treats inside and peanut butter over the hole, she chases it all over the garden. It is tough and has outlasted many other balls and toys. 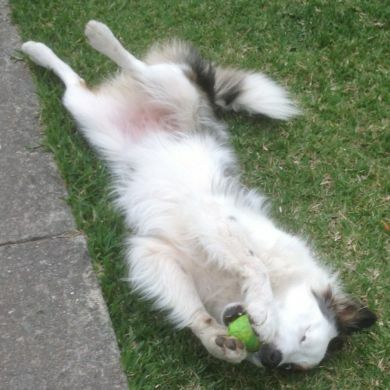 Bill the Border Collie from Bruny island (Tasmania) is only 4 months old and loves this thing; he will chew it for hours and chuck it around and generally entertain himself with it. it is also perfect for teaching him to fetch and retrieve as he loves it so much...he goes crazy if there are treats inside it and loves it even more; he will chase it for hours..
nice work Ruffwear.. and Waggle. I purchased the Turnup ball for my dog who loved it, and so did my friends dog, so my friend bought 3 so they could have one for the car one for Grandies & one for home as it is the only toy her dog has not destroyed. We use our balls in a ball thrower at the park or beach, as it flots as well.